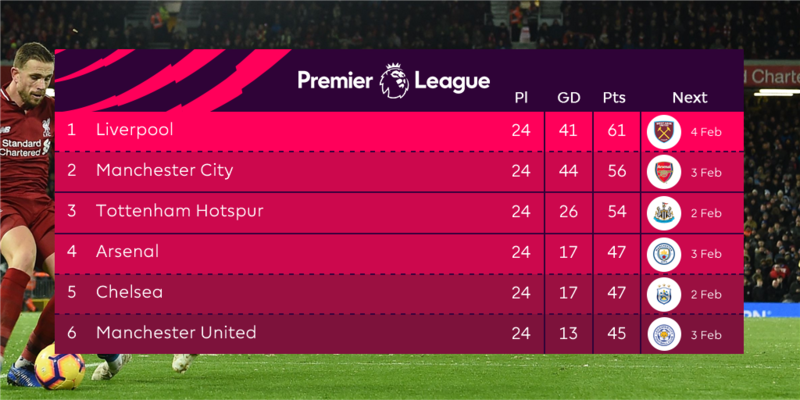 Liverpool go five points clear at the top of the Premier League after a frustrating stalemate with the Foxes at Anfield. Maguire cancelling out early Mane goal. Klopp’s side a long way from their best but not helped by some poor decisions. Awful conditions to play in. Great start but alas, one mistake cost us. Woeful finishing and dodgy pen decision too. At least lead stretched. Need to keep going and match or better our chasers all the way. Liverpool would have been awarded a penalty for Ricardo Pereira's trip on Naby Keita had VAR been available, according to former referee Peter Walton. The new technology caused some controversy over the weekend for its use in some, but not all, of the FA Cup fixtures, with Liverpool's Merseyside rivals Everton suffering from its absence in their defeat at Millwall. 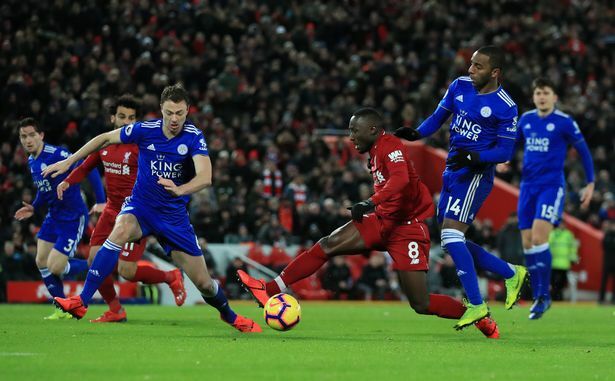 VAR is set to be introduced into the Premier League for the 2019/20 season but the Reds will rue the fact it was not sooner after being denied a clear penalty during their 1-1 draw with Leicester. Pereira's attempts to get back and challenge Keita led to a clumsy tackle on the Liverpool midfielder's ankle and Walton, who initially said during commentary that he didn't think it was a penalty admitted he had got it wrong. "Yeah I have changed my mind," he said on BT Sport. "During the actual play itself you see him go through, I think Martin Atkinson has seen Keita overrun the ball almost and then try to flick it with the outside of his right foot. "But in slow motion you can clearly see Ricardo Pereira has impeded him. "It might only have been the slightest of touches, but it's enough to put him off and in fact the correct decision in my opinion should have been a penalty kick." The penalty incident wasn't the only flashpoint of the night, with goalscorer Harry Maguire lucky not to be sent off when he hauled down Sadio Mane in the first half and Walton conceded Liverpool would have benefited from VAR on the night. "I think that's the classic example of VAR intervening," he explained. "I think what would have happened there, the guy looking at the screen would have seen the same angles I and you have seen post the actual incident and said to Martin Atkinson, just hold the play a moment and perhaps come over to the monitor at the side of the field, have a look yourself because I think it's a penalty kick. "And Martin, because it was a subjective decision, would have gone over, had a look and then made his decision and who knows what he would have made." When pressed on what he would have decided having seen another replay, he added: "Penalty kick." All times are GMT +9. The time now is 12:13 AM.